Mark King giving his presentation. Photo by Dondré Trotman. Fresh Milk invites you to view this two-part video documentation of a presentation by Mark King, who spoke about the value of artist residencies at our public event FRESH MILK XIV, which took place March 20, 2014. Mark King is a multidisciplinary Barbadian visual artist who explores archetypes and social norms. Interested in notions of topography and megalography, Mark makes coded, often satirical work, that highlight social phenomena. The son of a former diplomat, Mark has called several places home. Growing up in The Bahamas, Barbados, Belgium, and the United States has left Mark with a unique perspective that directly influences his artistic practice. Mark holds a Masters of Fine Arts degree in Photography from the Academy of Art University in San Francisco, California. In 2011 the Lucie Foundation handpicked Mark for their apprenticeship program. During the same year he participated in a screen-printing residency at the Frans Masereel Centrum in Kasterlee, Belgium. 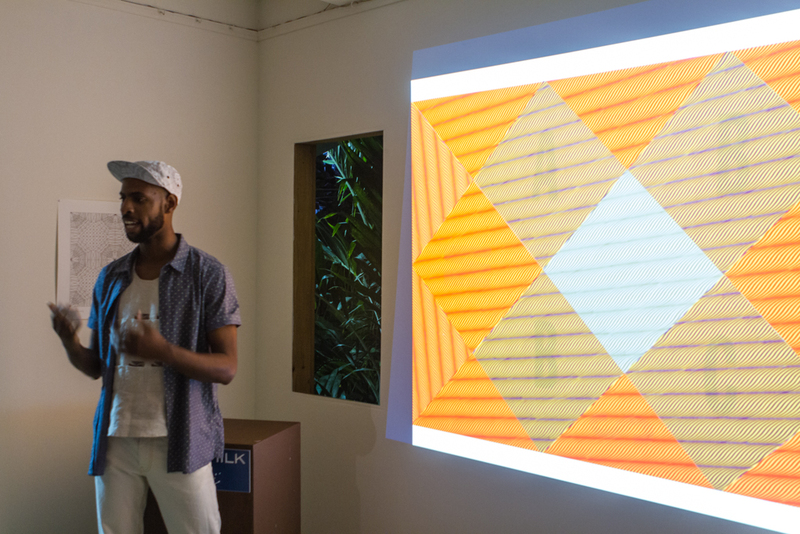 In 2012 he took part in an artist residency at Alice Yard in Port of Spain, Trinidad. In 2013, he participated in two residencies; Fresh Milk in Saint George, Barbados, and most recently Ateliers ’89 in Aruba for the Mondriaan Foundation’s Caribbean Linked ll. Last year he released his first monograph Plastic through MOSSLESS publishing at The Newsstand in New York. Plastic has gone on to The 2013 New York Art Book Fair at MoMA PS1, The 8Ball Zine Fair, the 2013 I Never Read Art Book Fair in Basel, Switzerland, and The 2014 LA Art Book Fair in the Geffen Contemporary at MOCA.